“... with relatively new position statements from the AVMA and AAHA …and changes in many states’ legal requirements for vaccinations—many of you need to modify your approach. … you’ll provide fewer vaccines or administer some vaccinations less frequently, depending on each pet’s risk and needs. “Clearly, deciding the medical issues is a major industry debate…. There are management decisions to make, too. “… The decision about the medical issues is critical, of course. And, as with all medical decisions, you need to focus on what you believe is best for the pet. At this point, you must set aside all thoughts about the income. After all, this is what you do in all other cases; you recommend what’s best for pets, not what’s best for practice revenue. “Historically, the vast majority of practice visits have been initiated because the client received a notice that vaccinations were due or because the pet was sick. And in many practices today, the vaccination reminder is the one thing that drives visits from healthy pets. So changing your vaccine protocols could have a significant affect on practice finances. Will the same number of clients bring their pets in for the distemper and parvovirus combination vaccine in the year they are not due for a rabies vaccination? …. So without thorough client education about the need for regular exams and good follow through with reminders, you’ll probably see a significant drop in the number of wellness visits. “Now project the affect your changes in vaccination recommendations will have on practice revenue. For example, if you charged $35 for an annual exam, $10 for an annual rabies vaccination, and $15 for an annual distemper and parvovirus combination vaccination, the total would be $60. If you decided to give the rabies vaccination one year and the distemper and parvovirus combination the second year, your income per annual canine vaccination would drop only $15 the first year…..
“Of course, when pets get vaccinations most also receive other services or are prescribed additional medications. So you may not earn the same incremental income if you see the pet less frequently. recommending appropriate deworming for dogs and cats. (The Centers for Disease Control and Prevention recently reported an increase in visceral larva migrans in children. Shouldn’t we recommend deworming at least twice a year?)" The remainder goes on to matters of staff, training, and mentoring. It is very interesting and helps students (and readers) understand the challenges of veterinary practice profitability. 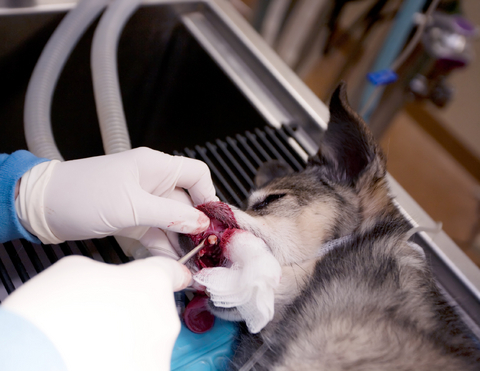 Dogs can die from tooth cleaning and poor veterinary practices. Over 167,000 reports each year; how to quickly diagnose your dog. 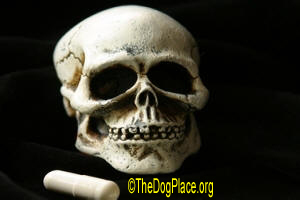 The sick truth about DogMeds and human prescription medications.